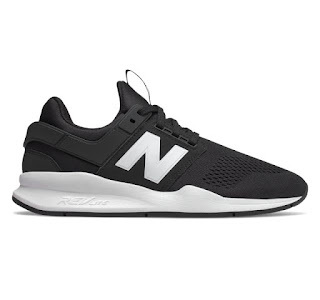 Today ONLY you can score this pair of New Balance Men's 247 Lifestyle Shoes for JUST $34.99 (Retail $89.99). A unique and versatile NB lifestyle shoe designed for your 24/7 style. The new 247 for men takes inspiration from the v1 and pushes style even further. It offers comfort and support in colors from bare to bold. A REVlite midsole provides additional comfort without added bulk or weight.